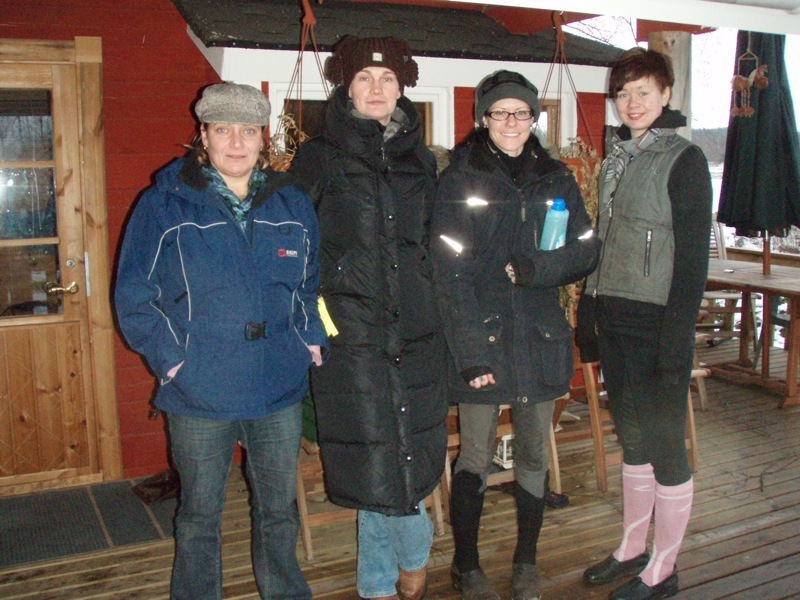 Finland Clinic a Great Success! 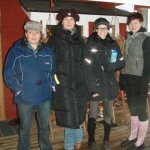 Jasmin Becker owner of Mane Imports went over to give a clinic near Helsinki in Finland. Even with snow and cold weather the clinic was a huge success. 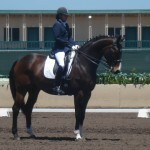 Many thanks to Jennifer Diamond and Pirrio for hosting the clinic. New sales horses and video will be coming soon! 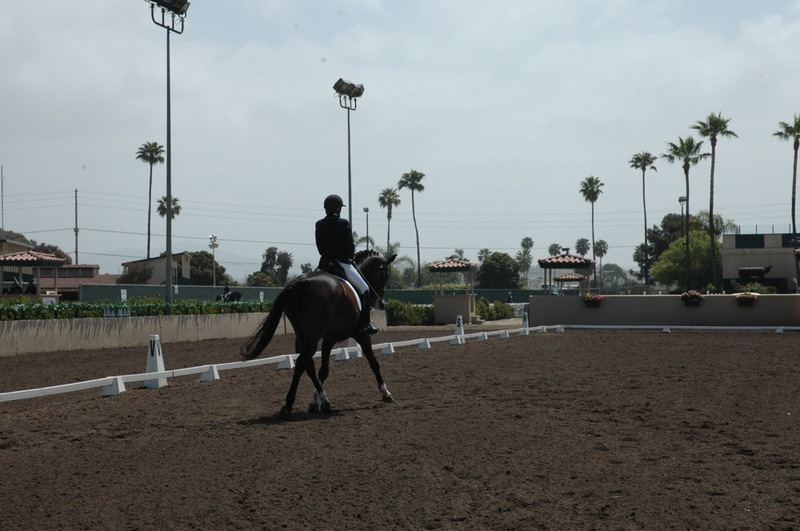 This clinic will focus on Training Scale and how this simple scale can significantly improve your riding. Jasmin Becker will start by offering a lecture on the Training Scale and a definition of each of its levels. We will then discuss how it relates to the rider and the horse under saddle. 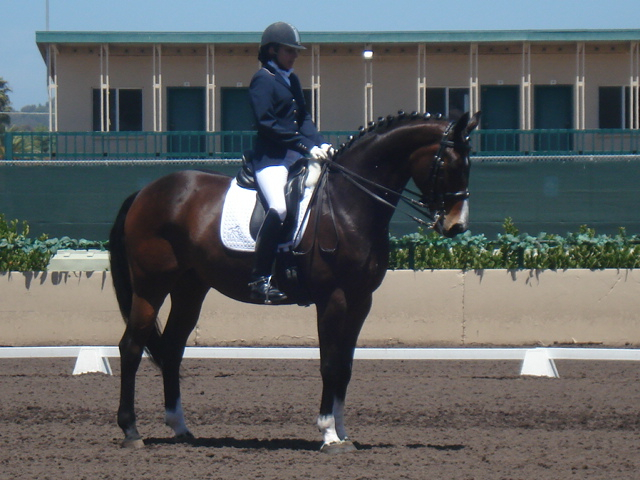 After the theory portion of clinic, Jasmin will demonstrate each level of the scale on her FEI horse. A question and answer session, as well as a lunch break will follow. 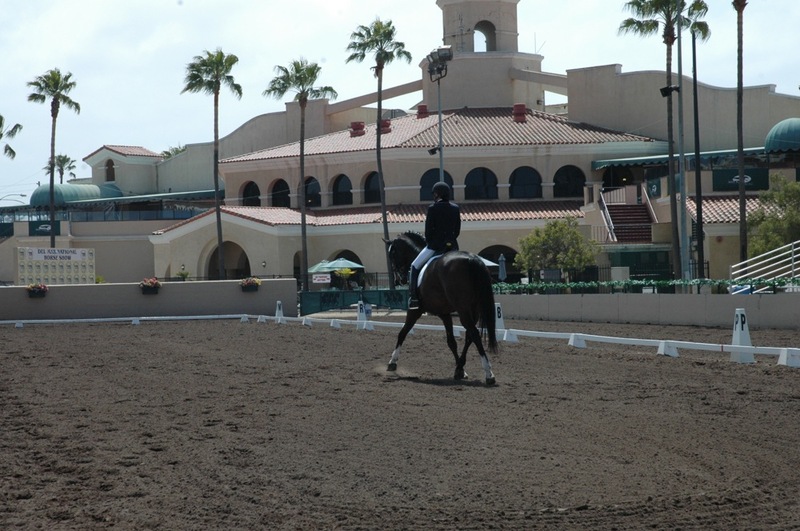 The second half of the clinic will be individual lessons that will be offered to riders that have brought their own horses. Friends and family are welcome to attend. Please contact Jasmin Becker to register for the clinic. The fee for auditors is $35.00. Auditing and riding will be $55.00. There will be an extra fee to board your horse. We look forward to seeing you at the clinic! This is my canter work with De Libris. 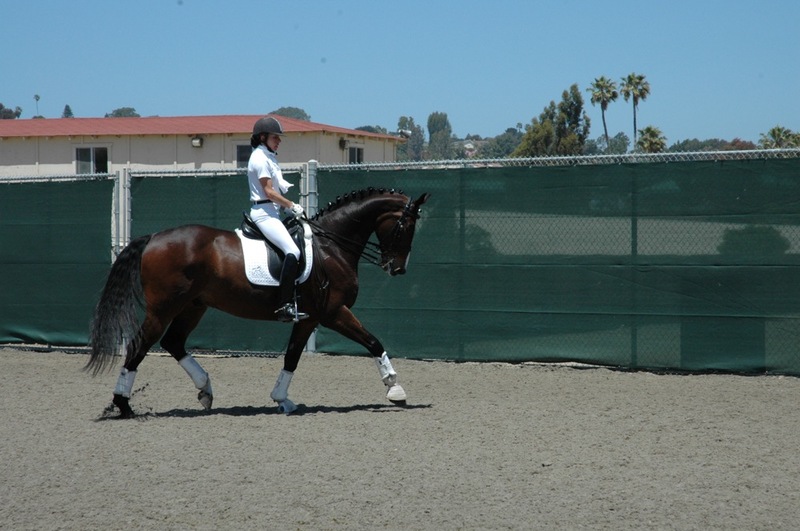 DL is weak in the canter and as a result must learn to work in a smaller canter, over his back and through his neck. This is very, very hard for him. But the only way he will learn this is by doing it. We are always challenging him and only by challenging him will he learn to carry more behind and get stronger. This is only meant as a training video. I am so proud of him. He tries so hard and just is a worker. I can’t wait to show his progress in a few months! Just so you know that the warm up the canter work and the trot work were all taken in the same session! Here is DL’s warm up routine. This is only meant as a training video. Well it is May 28th and the last training video, that was taken on May 24th, showed some continued problems in teaching De Libris the collected canter. He looks pretty good on the rail or a 20 meter circle but when you take him on the diagnol he wants to press up in his neck and drop the contact. That was very apparent in the changes on the diagonal. 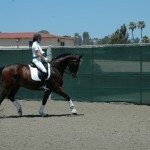 Nick and I spoke about it and worked on keeping him more round and through in the canter. However, I was saying that he was running through my half halt and not staying with me. So, we decided to put Nick on him to feel him and bring him to the next level of training. What I love about this training it is very methodical. Here are the steps since that we worked on. The first weeks with Nick were just getting De Libris forward – hotter off the leg. Only then could we work on the contact with throughness. Then the next step, once he was honest and forward into the contact, was to work on the collection. When we introduced collection he dropped the contact again by spitting out the bit or pressing up with his neck. With that we worked on finding the bit (I have that video of that lesson and I will need to put that up in the next day or two.) Just as a side note if a horses mouth is open he has dropped the contact even though he may be round. The horses mouth must be quite and closed around the bit. Only then do you have true contact and can work on the throughness from the tail to the poll. We are now asking him to be even more collected with being nice in the contact and through the neck. 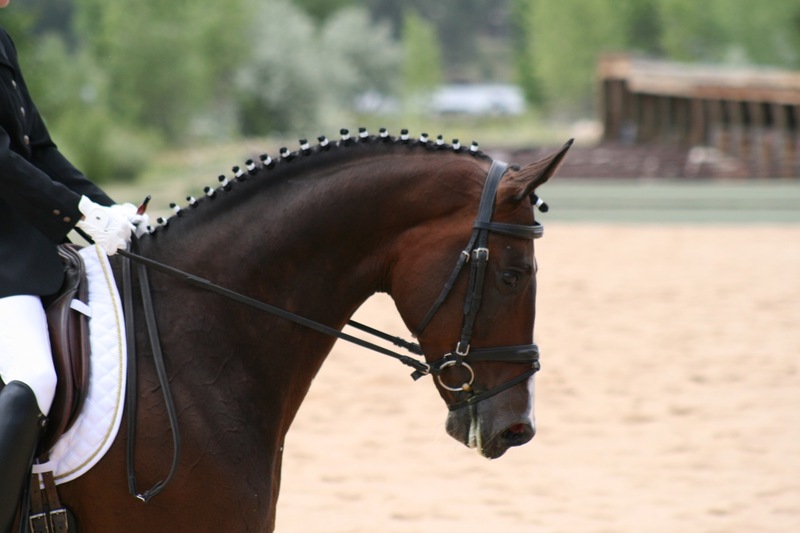 The rider needs to be able to place the neck were ever he wants it without the horse dropping the contact. In addition, the rider can not carry the horse. He must start to learn to carry himself after he gets the idea of collection. This video shows Nick working on that next phase. That next phase is to get him more collected without pressing up and without dropping the contact. In this video you will see that Nick uses his inside rein to bend DL if he tries to press up against the contact. Nick comes low with his hand to make certain that DL is not allowed to press up. In addition, DL needs to say forward into the collection but not running. If DL decides to run away from the collection Nick’s correction is a halt, where he waits for DL to be quiet in the mouth. If DL wants to come above the bit Nick lowers the rein to keep him coming through the neck. In some parts of the tape, you will see DL curling behind the vertical. 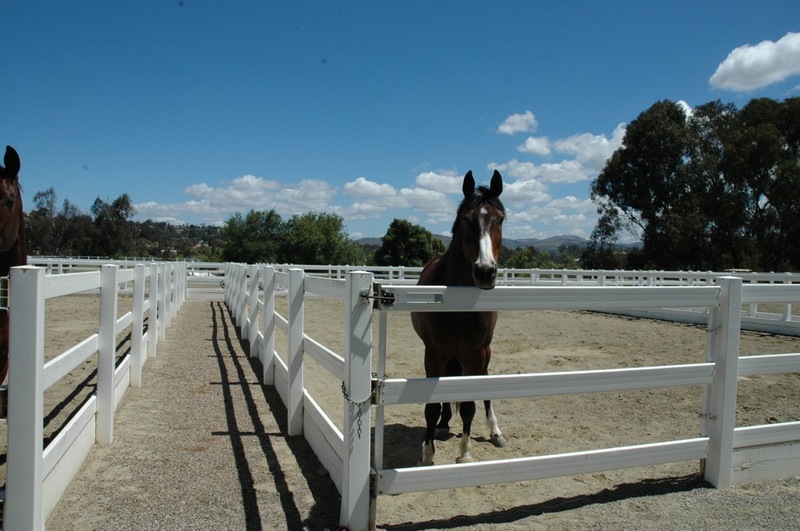 This is another evasion that horses can come up with. In those moments, Nick holds on to the contact telling him that even if he is behind the bit the contact on the rein will not go away. 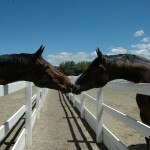 Only with contact can you have throughness and only with throughness can you honestly work a horse from tail to poll. In addition, to this continued work, Nick upped the game on DL. He is challenging him in a smaller and smaller trot. But in this smaller trot, DL most hold onto the contact, come round through his neck, not run, not get behind the leg, and not curl. No small task! When DL felt good the next phase is to find places to let go of the rein. He needs to be able to carry himself. Only then will he move toward being and FEI horse. He can not be carried by the rider. But remember when you give the rein the horse must be round, forward on the leg, collected, not running, and honest in the contact. 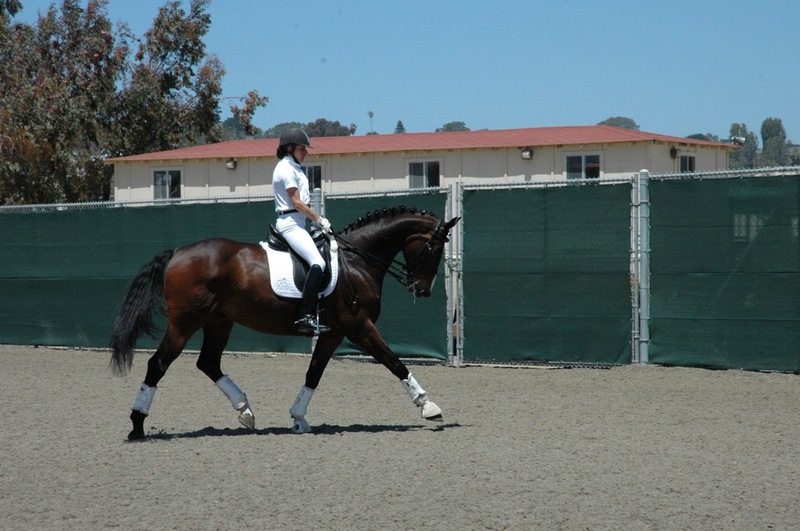 You can see that DL is struggling with this phase of the training but a horse doesn’t magically become an FEI horse. It needs to be trained. What is so great about this training is DL is very weak in the canter and you can see through time he is learning to trust his ability to carry himself on his haunches. I really believe that we will see a very big difference in him over the next week and a half. Unfortunately that is all the time I have left here in California. I am excited as many of you are to see his training for the next week and a half! I should be able to put up at least 3 more videos in the next week. Until next time! Yaz Mane Imports. Here is new training video. I was very afraid to post this but after sitting on it over the last couple of days this is what is needed in our sport. We always seem to see perfection and we never accept that training is not perfect. Out of not perfect lessons, you learn. 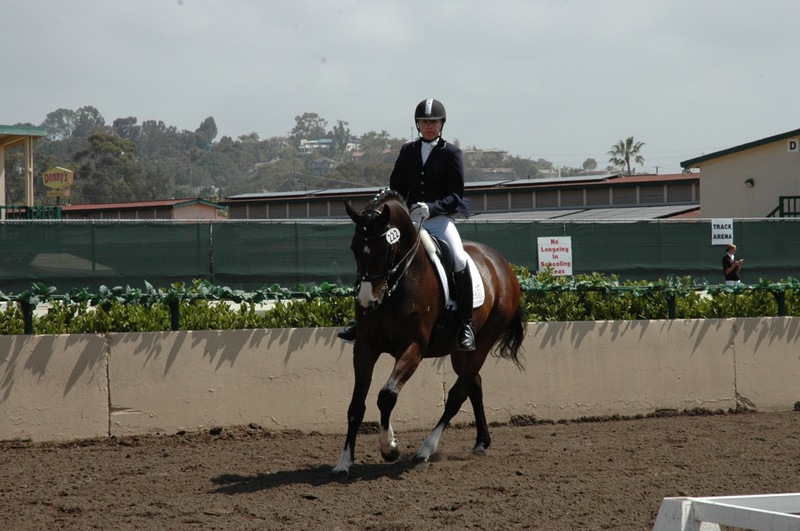 I also think that we as dressage riders should not expect perfection all the time. I am posting real training. What Nick is working on here is getting De Libris collected in the canter and through the neck. You can see that he wants to run through the canter and press up with his neck. When he does both of those things he is not over his back and then he is not connected. He must be ridden straight and within the contact. De Libris’s weakest gait is the canter. He wants to run or get 4-beat. 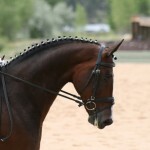 De Libris must learn that he can not run and he needs to go through the base of his neck and needs to be on the bit. One of the other things that he used to do was open his mouth. Nick tackled that because then he is not true the contact. Many of the times I halt he opens his mouth. He is behind my leg, hops up in front and doesn’t want to go in the contact. Remember this is training. 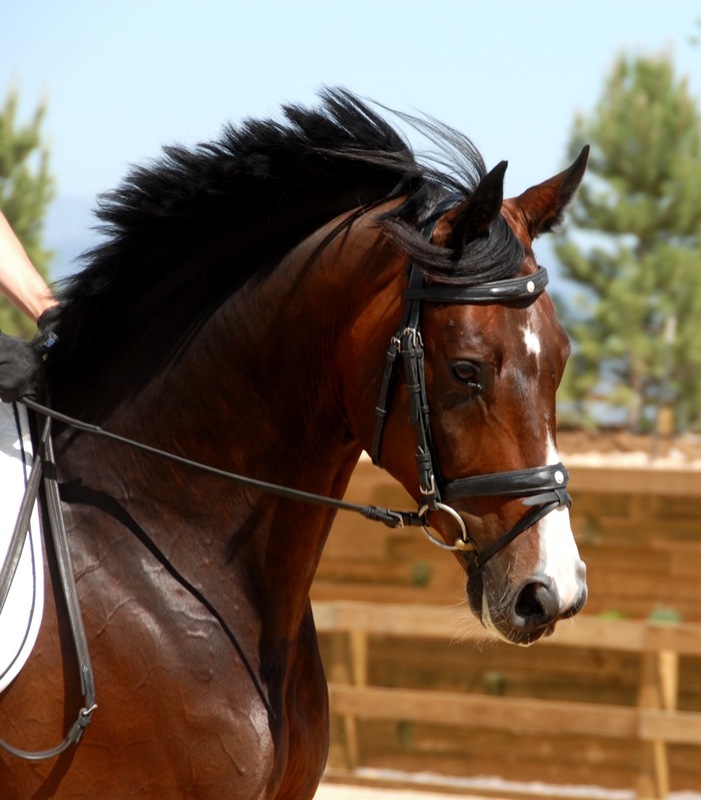 A horse and rider can not be perfect all the time. But the rider can stay tried and true. 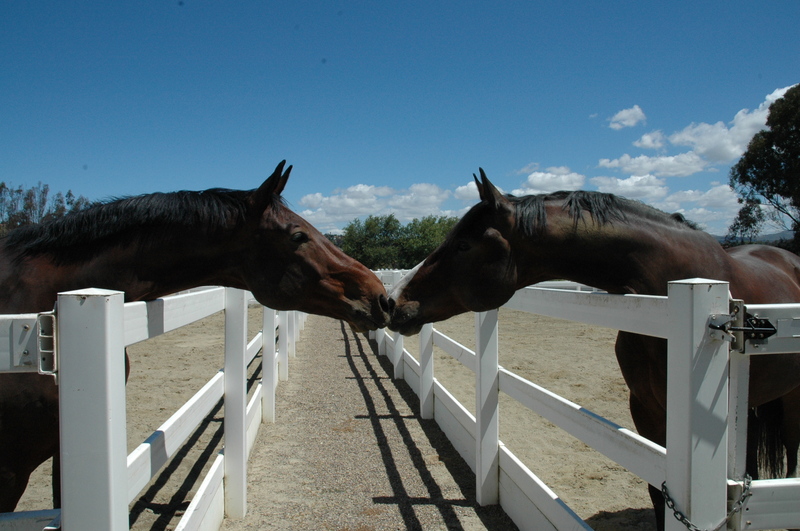 If a horse has a half inch they are smarter then you. As the rider you need to think ahead of them. You have to predict what they will do and catch them before they can do it. Then you need to stay true to the correction. I am posting this video because I think by the next one you will be Amazed at the difference. It was only through this video that I figured out that I didn’t need to make 10 different things to get him straight. I need to become quicker with my aids and I must insist that he stay through and straight. I need to be insistent on the correctness. 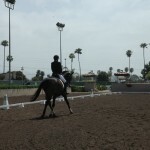 New Trot Work with DL and Nick Wagman! 5 Weeks! Here is De Libris in his first four one test (actually it was the third day!) 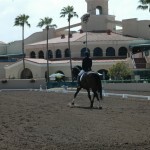 at the Del Mar National Horse show. I found out afterwards that most of the competitors had been to 5 or 6 shows previously. We performed well, however we still need to work on the collected gaits. By the way prior to going in he was bucking! I am really proud of him! I am happy I have another month of training with Nick Wagman. Cheers, Mane Imports! Below you will find video of my horse De Libris (DL) and my training with Nick. This video is not edited and is not meant to be edited. It is solely meant to be a training video. 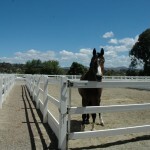 De Libris is a horse that is blocked on the left side and does not want to go through evenly to the right bit. We are working on supplying him on both sides and accepting the bit with even contact. Unless we have even contact he can not come honestly through over his back to the bit. Therefore, all the movements will not be truly coming from behind to the bit. We are also working on collection. He is a horse that does not believe he can sit down and elevate in front. We are working on collecting him and pushing him each day. He has a super work ethic but he was truly tired during this video. Remember this is only 2 1/2 weeks into training. 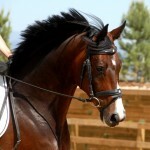 We are getting him used to the program of going forward into even contact and a bit of collection at the canter. In another week and a half we will be pushing the collection even more, but it has to go incremental. 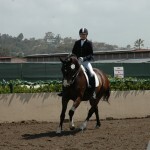 We will also be working on putting more cadence into the trot. I will hopefully have more video up soon! Enjoy!